【12MP 1080P HD RESOLUTION】-Equipped with powerful 5 Megapixel CMOS sensor,this trail cam supports up to 12MP resolution in full color (black and white at night) and 1080P HD video with clear audio recording.The video length can range from 5s to 10 minutes.Adjustable resolution are available for both still images and videos. 【0.2-1S TRIGGER SPEED & 120° WIDE ANGLE】- Unique sensor design provides this game cam with 120°wide detection angle and impressive 0.2-1 second trigger speed which makes sure each detected movement is documented in real time.With programmable trigger interval and multi-shot featur,you are guaranteed to never miss any of the action and this hunting camera has 1 YEAR MANUFACTURER WARRANTY. 【65 FEET DETECT and FLASH RANGE】-With a 120° detection angle and a 65 feet/20m detection range,the XIKEZAN motion detection camera captures high quality images and videos.Buit-in 42pcs low glow covert infrared flash LED provides this outdoor wildlife camera with a 65 feet flash range in the dark,no movement will be missed even at night. 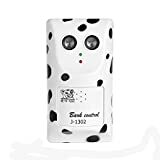 【2.4" LCD SCREEN & MULTI-FUNCTION】- This motion sensor wildlife camera is made with a built-in LCD screen display which allows for easy navigation and mode selection(Photo,Video,Photo +Video).Plus,this scounting camera supports Multi-shot, Intervals, Time-Lapse, Timer, Password protection, Timestamp, Serial No, TV OUT,Alarm and Low power notification. 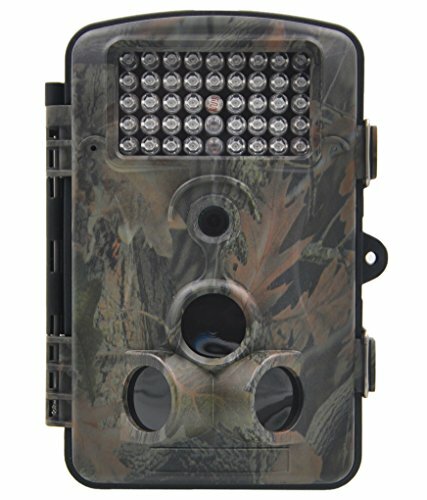 This XIKEZAN trail hunting camera is the smallest animal camera in the market so far.It is only 5.2x3.5x2.9 inch,portable and multi-funcational.It is not only an affordable yet dependable animal camera that hunters can rely on in the field,but also a good home security camera.It can be locked by the password so others can not use it or view/detele the date stored in it.An anti-theft lock (not included) can also be added to strength protection.This digital security camera can work under extreme temperatures between -20℃ and 60℃.